Well that’s a way to travel! However I like to be able to enjoy the journey to get somewhere. hah I love it, just stumbled upon your webcomic, i love it! wow! i’d love it if my friends drop in this way.. what a surprise! omgosh!! this is so cool!! 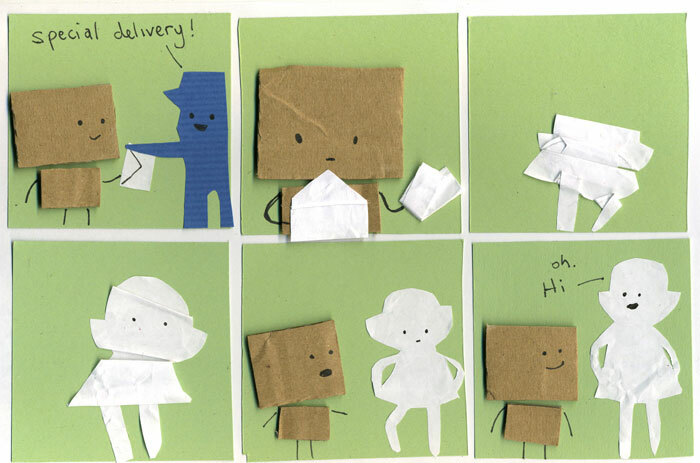 now I wish I was paper or in this webcomic……………………………………..